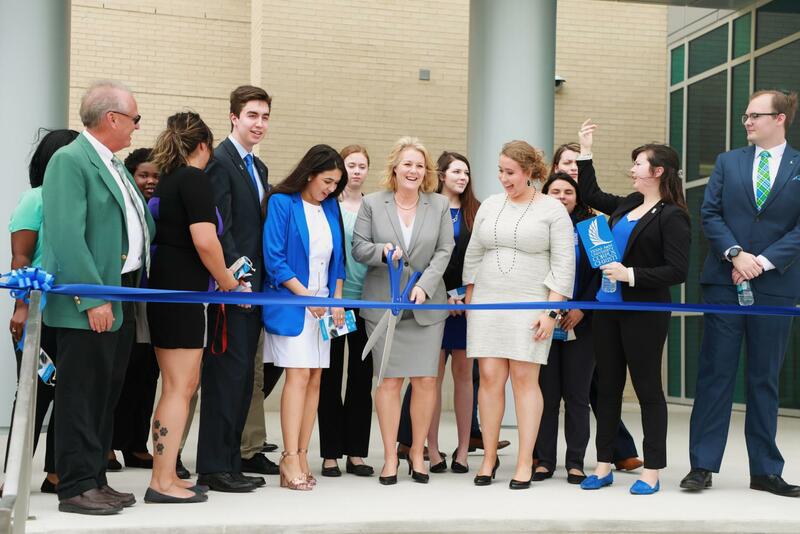 Photography courtesy of Arianna Aloia, President Kelly Quintanilla and members of TAMU-CC's SGA gathered to cut the ribbon. The doors of Tidal Hall were officially opened after University President Dr. Kelly Quintanilla cut the ribbon on Friday, April 12. The project first started over four years ago, and the building is now ready to be put to use starting this summer. Overall, the building has 65,000 usable square feet. Tidal Hall officially opened last weekend on April 12. 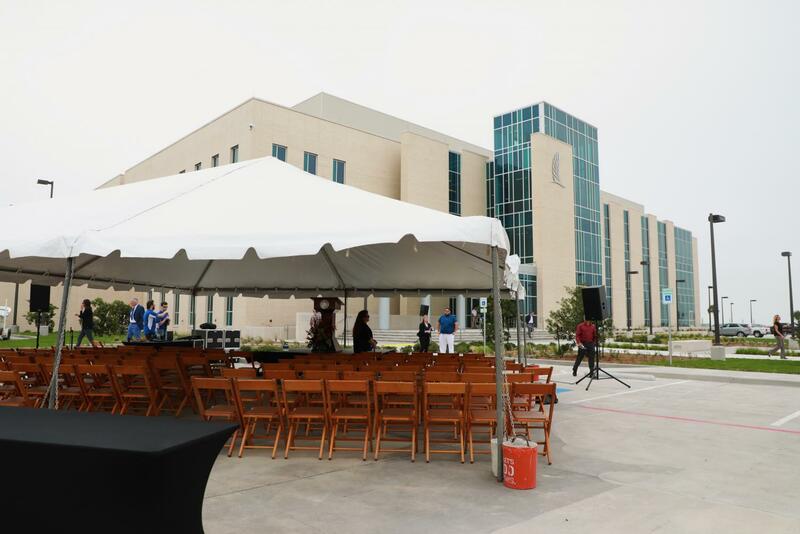 “Here at the Island University,” said Quintanilla during the grand opening, “student success means providing students with every resource, every opportunity and every tool possible to excel. …”. The building has state-of-the-art facilities designed to support research and teaching in environmental ecology, biomedical sciences, genetics, marine genomics, fishery and marine microbiology. 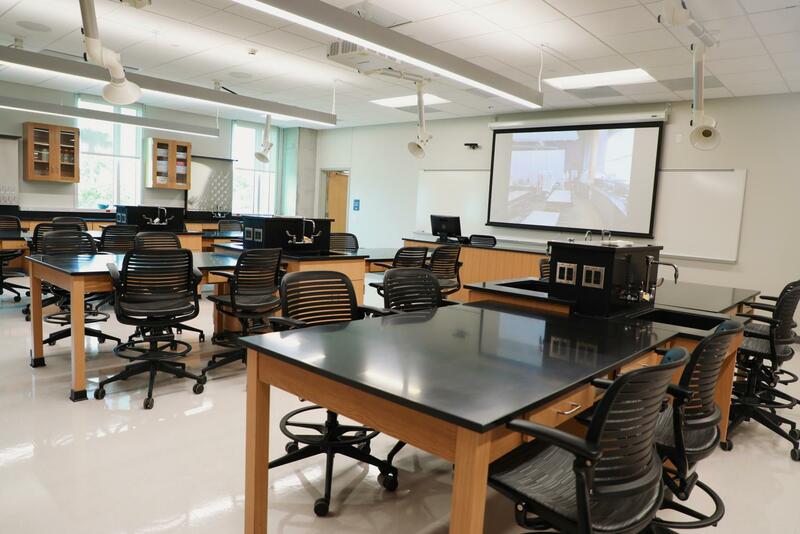 The building cost over $60 million to complete and boasts three stories, housing 34 research labs and 9 teaching labs. In addition to the labs, there will be over 100 additional office spaces for faculty and staff. Tidal Hall has 34 research labs, 9 teaching labs and over 100 offices that will be put to use starting this summer. Students will begin to have classes in the Tidal Hall Life Science Research Building this upcoming summer and fall semesters.